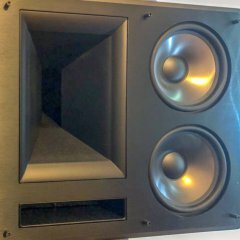 Hi, I'm trying to get a second subwoofer to pair with my existing SUB-12HG but I haven't been able to find a decent deal on another one. So, I'm wondering what other model would pair good with my current SUB-12HG, and if this is even an option? Where are you located? I see that sub pop up all the time on websites like OfferUp and Craigslist and for cheap to boot. Having 2 of the same sub should make everything easier to integrate. Can’t confirm but I believe the Sub-12 is the same subwoofer, minus the looks. And that sub is also everywhere used for cheap. Thank you for responding. I'm located in Central California around the Fresno area. I think you're right, the SUB-12 and SUB-12HG are he same with the latter having a nicer finish. I've looked as far as the Los Angeles and SF Bay Area (about 4 hour drive) but usually it's sold by the I'm ready to make the trip to pick it up. So I was wondering what other model would integrate nicely in the case I'm not able to find one.